One of Lakewood Ranch’s inaugural communities, Summerfield has some of the most active residents when it comes to community activities. The village is located on the northern part of Lakewood Ranch, just south of State Road 70. Due to its close proximity to the thoroughfare and the commercial areas, Summerfield real estate is one of the most coveted properties in the award-winning master planned development. Lakewood Ranch’s commitment to green living first manifested in Summerfield, where homes were built to meet the Florida Green Building Coalition’s Green Home Standard. In addition, Summerfield was developed along nature preserves, with an abundant scattering of wetlands. This setting provides residents with a healthful living environment and a refreshing proximity to nature’s breathtaking beauty and wildlife. The choices for Summerfield homes for sale vary on the neighborhood. There are single family homes ranging in size from 1100 to 3263 square feet, with delightful open floor plans for flexible interior decorating and screened lanais for relaxing under the sun. Price points for the single family homes begin at the $200s and peak at the $400s. There is a condo community at Summerfield Hollow, with price tags at just under the $100s. The homes offer two bedrooms and either one or two-car garages. Serene nature preserves surround the Hollow, providing a very tranquil environment within the neighborhood. Tranquility is one of the aims of all Lakewood Ranch villages. The development has over 150 miles of nature trails, allowing residents the chance to witness wildlife in their natural habitat. Unobtrusive family parks and recreational facilities offer fun and fitness for every member of the household. 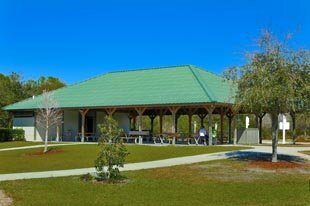 For instance, the Summerfield Community Park offers two tennis courts, a baseball field, a children’s playground, and a pavilion with charcoal grills—everything a family needs for a fun day at the park. The wide open space is also surrounded by woodlands and fronts a shimmering lake, setting a naturally magnificent environment for park visitors. The Town Center is the heart of all Lakewood Ranch, in which numerous restaurants and boutique style stores provide enthusiasm to the residents’ social life. There are plenty of opportunities to mingle on Main Street, from the daily nightlife to the spectacular annual events and festivals. Regular affairs, such as the First Friday Music on Main, occur every month. In addition to a wealth of social activities, Lakewood Ranch provides its residents with the most advanced technology in healthcare. A 120-bed acute care hospital stands across the Town Center and offers integrated in-patient and out-patient services. 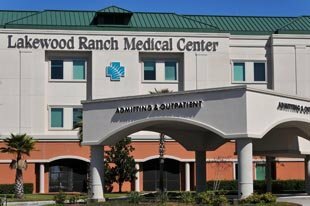 Lakewood Ranch Medical Center has a staff of over 400 healthcare providers, with offices in the nearby Medical Building. A small-town community with big-city amenities, Lakewood Ranch proves that it is every bit the ideal place for a family to settle and grow up in. Such overflowing facilities for sports, recreation, shopping, and dining provide much activity for the family. And yet, the natural beauty and serenity of the environment remains to be a soothing respite from the hustle and bustle of the residents’ daily life. 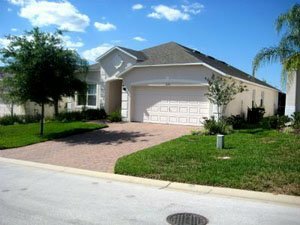 Below are all of the current real estate listings available for sale in Summerfield.